On Sunday 28 September 2014 the ANC Ward 74 councillor Nolubabalo Mthembu called an ANC meeting to discuss ways of replacing the Land Invasion Unit with an ANC demolition team. This meeting took place at the Lamontville Community hall in the afternoon at around 1pm. 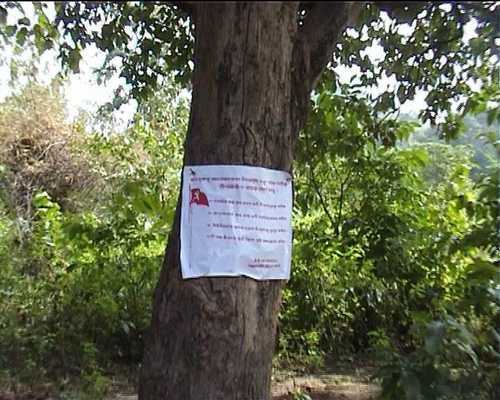 The Task Team Committee was launched to carry out the illegal eviction of the nearby Sisonke settlement. Sisonke Village, formerly known as Madlala Village, made headlines early this year when they approached the Constitutional Court after they had been subjected to more than 24 illegal evictions. The Constitutional court found that the Eviction Order obtained by the Member of the Executive Council, Ravi Pillay, was invalid as it was made in breach of the Constitution. The court also found that the eThekwini Municipality [one of the 11 districts of KwaZulu-Natal province of South Africa, covering the City of Durban and surrounding towns] had lied to the Court and referred the matter back to Durban High Court. We are still waiting for the High Court to make a ruling on the matter. It is clear that replacing the Land Invasions Unit with ANC members is a tactic to avoid legal accountability for evictions. We saw a similar strategy at the Marikana Land Occupation in Cato Crest on Friday 26 September when ANC members began demolishing shacks. They also attacked one of our members with a spade. This week, a study by Amnesty International revealed that 80% of Brazilians are afraid of being tortured by their own police force on arrest. In a survey across 21 countries, Brazil was found to be the country where people feel most unsafe in the hands of authorities, almost twice the international average of 44%. In Rio de Janeiro this fear is very real. 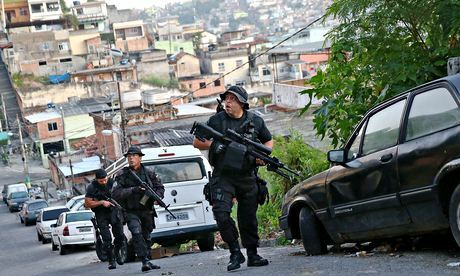 Although the media has reported the efforts to pacify favelas across the city, armed violence has once again escalated in the city – weeks before it will receive thousands of football fans for the 2014 World Cup. – Letter from Benjamin R. Epstein, National Director, Anti-Defamation League to Saul Joftes, Executive Secretary, B’nai B’rith, July 7, 1961. Those were the days when snooping usually meant digging through garbage cans, checking other people’s mailboxes, and primitive phone tapping. How the Anti-Defamation League is doing it today one can only imagine. Over the last three days of April, the ADL celebrated its 100th anniversary in Washington DC in high style with Vice President Joe Biden the featured speaker at its Centennial Gala dinner on April 30 and Attorney General Eric Holder doing the obligatory genuflecting the day before.